The first day the judce is Mr. Valerio Nataletti and the second day is Mr Franco Gatti. 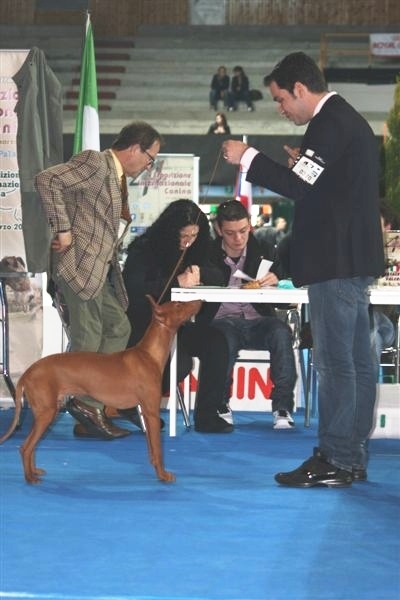 Piccolo, after he became Young Italian Champion and Young Top Dog 2010, starts his exhibition way in open class and both days and is the best male, CAC CACIB ..! Little Gloria is the best young and the second day is the Best of Breed...!! In the main ring "dell'Ovo" Kennel is the 3rd best breeder group of the show..! Now we go at home to our puppies that grow visibly ...! !